Most of the material on the album was recorded at Foxx's Shoreditch studio, The Garden, between 1981 – 1985. 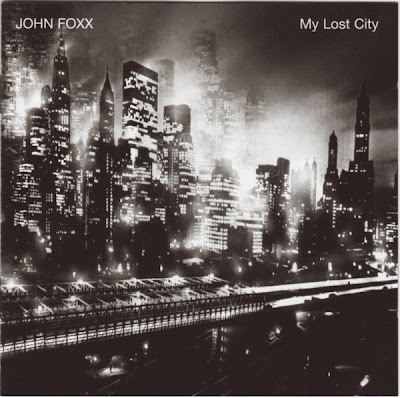 "I hadn’t listened to the recordings that are being released as the My Lost City album since they were made, over twenty years ago,' says Foxx. 'When I played them I was struck by the way they evoke a time and a place - and how I’d been unaware of this when they were made. Then they seemed like fragments, unfinished and unsatisfying. A stop on the way to somewhere else." "Now they seem like a time capsule discovered from under the streets. Made by someone else. Like an old radio tuned into a long gone station. Curious psychic electricals, crackling distantly from the speakers." "They were recorded in East London. Back then, Shoreditch and Spitalfields were abandoned, dark and forgotten, yet only a step away from the City of London, the country’s financial dynamo. I built a studio in the basement of an old Edwardian department store – trees growing from the upper storeys when we moved in. I remember trying to make connections in this little laboratory between synthesizers and hymns and cities, churches, electricity and memory." For two decades the material remained untouched; just some old, forgotten tapes buried away in storage until they were rescued in late 2008. Apart from some minor remixing, they're essentially the sound of analogue synthesizers and a lost era when the area around the now bustling, brutally hip and ultra-expensive Hoxton Square was still an abandoned, deserted area of London. A kind of industrial ghost-town. In recent years, John Foxx has been experimenting as a film-maker (including a pioneering video for L.F.O. and recent performances of his Super 8 project Tiny Colour Movies in Melbourne, London and Barcelona), artist (exhibitions in London and New York and his images have been used on the covers of books by Anthony Burgess and Salman Rushdie) and musician and he's now developing a growing international reputation as a writer – last year he headlined a major literature festival where he reads extracts from his as yet unfinished novel The Quiet Man. He is currently working on new material with Paul Daley (Leftfield) and Benge.